Franklin Graham has it Right and the liberal Christ rejecters have it Wrong! They can go to Hell and they will, if they do not repent of their sins of rejecting the truth! 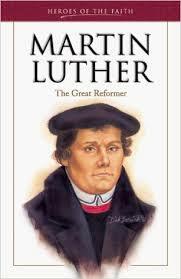 Finally, another Martin Luther has risen up to lead Christians out of the quagmire of Deception, Compromise and Politically Correct Bullying. Shame on the Bible defectors who oppose the Gospel of Christ. Edmund Burke said, "All that is necessary for evil to triumph is that good men do nothing." MARTIN LUTHER stated: "Unless I shall be convinced by the witness of Scripture or of evident proof from reason, for I do not believe that either Pope or counsels, by themselves, since it is agreed that they have often made mistakes and contradicted themselves, I am overcome by the Scriptures I have quoted. My conscience is CAPTIVE to the Word of God. I cannot, I will not revoke (recant) anything, for to act against conscience is neither safe nor honest. Here I stand. Help me God. Amen." Martin Luther believed that the corrupt R.C. Church would kill him as they had done with John Hus one hundred years earlier. He was summoned to a trial at Worms Germany from January 25 to March 28, 1521 before Emperor Charles V. He asked his co-worker Philip Melanchthon to remain in Wittenberg. He wrote, "My dear brother, If I do not come back, if my enemies put me to death, you will go on teaching and standing for the truth; if you live, my death will mean little." The shameful way the Mayor of Vancouver, B.C. and many Protestant and Catholic Churches treated Franklin Graham proves two things, namely, how far from God they have fallen, and what is in store for Evangelical Christians in Canada who are willing to stand up and be counted for Christ! Thank God for men like Martin Luther, John Knox, John Wesley and General William Booth. And we thank God for Billy Graham and his son Franklin Graham, who is being True to the Holy Scriptures and to our Saviour Jesus Christ! Amen.